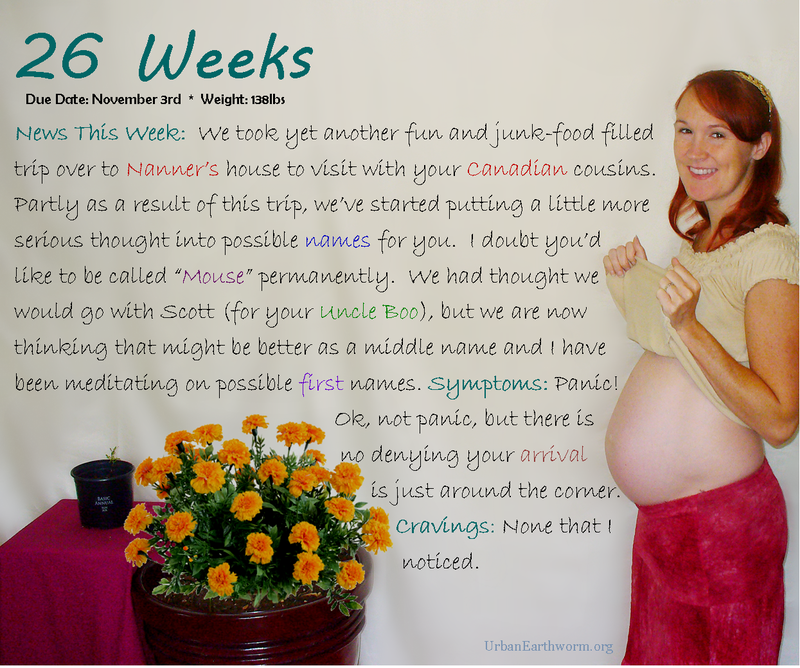 I am now 30 weeks pregnant (and a ways behind on my little project here!). With only 10 weeks or so until this baby makes his appearance, things are getting real – or at least they would be if I weren’t too frigging busy to even think straight. Staring down 4 more incredibly intense weeks at work (after which I do not get to stop working, but will at least have time to breathe), 3 birthdays, Halloween, a week long business trip, two weeks active duty, and – oh yeah, giving birth – things are getting a bit daunting. That said, I remain in an incredibly good mood. 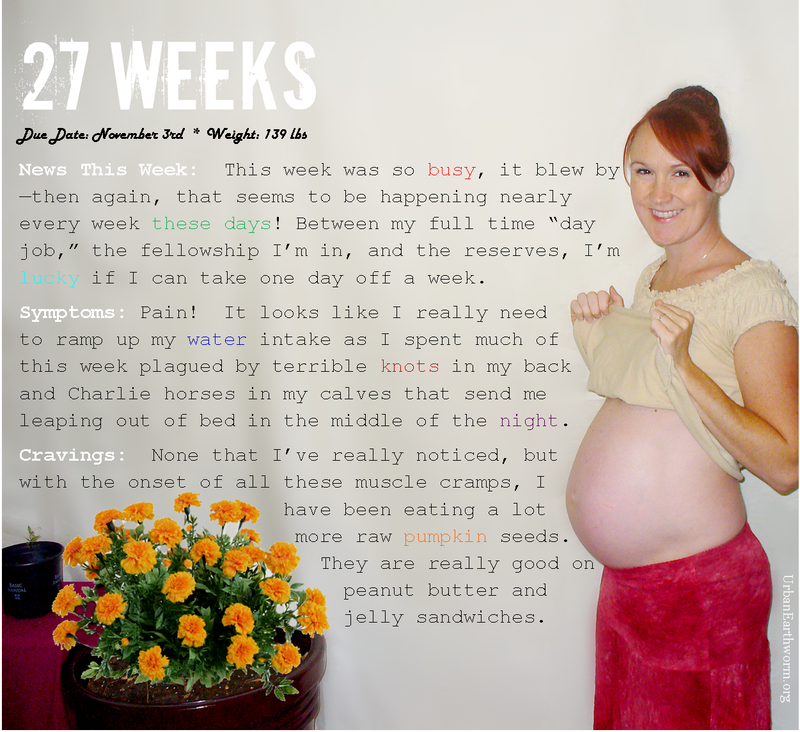 I had been concerned that the listlessness and negativity that plagued me in the first trimester would return in the third. Thankfully, they have not. As always, so much more to say, and no time to say it. Punky’s middle school orientation is tonight (I’m not ready for this! ), so I’m off. I’ll try to catch up weeks 28-30 soon!